The Dieppe Dash was conceived by Brighton Marina Yacht Club as a way of pulling together boat owners of all types, but with a common goal, enjoying their boats and and meeting like minded people. You are more likely to make a trip if you have planned it with other boats. We want your boats to leave their moorings and set sail. Racing a IRC 1 race boat or motoring a converted trawler and everything in between, once in Dieppe there are no barriers we are all taking part for the same reasons and it shows! No other event has the atmosphere and fun factor once you have taken part it will be your annual shakedown cruise. 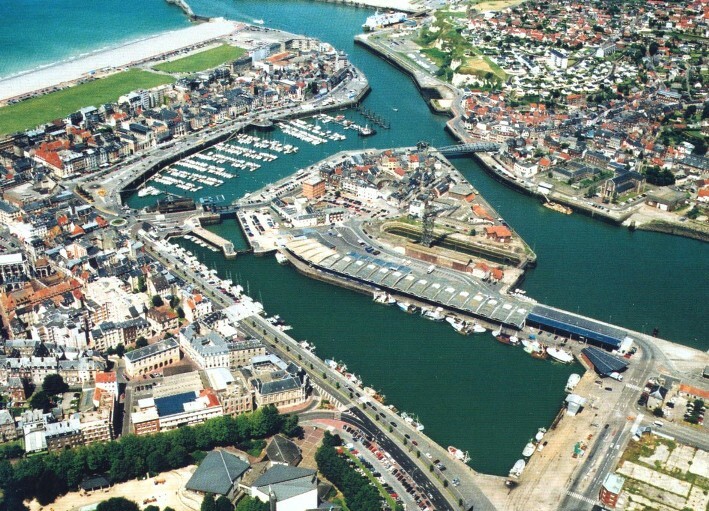 The port of Dieppe is the perfect venue with hundreds of restaurants and the beautiful town to explore it is certainly one of the best sailing venues on the French channel coast. The Dieppe Dash is the perfect event for your first time across the channel, with pre-Dash events to advise and reassure, a checking in and out safety scheme implemented by BMYC as well as being at the beginning of the season leaving plenty of time to make a solo trip later in the summer. Motor cruisers are very important to the Dieppe Dash – BMYC are committed to supporting motor boaters and growing the motor section of the club. We are all facing the rising fuel costs which clearly effect motor cruisers more than sailing craft owners. We hope though that, even if this is the only trip of the year, many motor boats will be able to participate this year as they have in the past. Sail in company and safety, and enjoy a great weekend in France, any previous participants will tell you that the hospitality and support of Dieppe and the French organisers is quite astonishing. The Yacht club has a warm welcome with food and drink waiting for you when you arrive in Dieppe. as well as a weekend schedule including the prize giving. The Dieppe Dash has the support and sponsorship from the largest names in sailing , make no mistake the competition is always very strong . The Dieppe Dash also has some fun races back to various home ports organised between the participants. DieppeDash © 2019. All Rights Reserved.